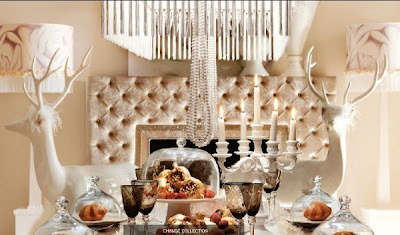 Altamoda presents stunning living room interior design that eye-catching. This design combine both classic and modern in order to produce an attractive space and luxury impressed. 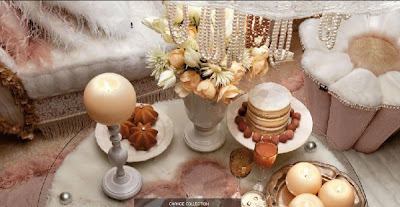 The furniture elements and decorative items are all so sparkling, that you really don’t know where to look first. The reindeer are definitely one of the focal points of the room due to their impressive dimensions and their location around the main table. Candles are spread throughout the room contributing to the room’s atmosphere. The cushions are originally shaped and colourful.